You Have up to 30 Days to Travel Around America After You Finish Working At Summer Camp. Tips, advice and budget essentials on how to travel America. See America in style with one of our incredible TrekAmerica tours. 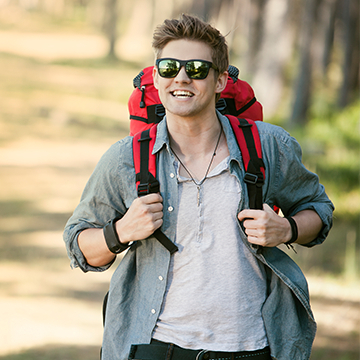 No matter what your dream route is; we've got the perfect organised Trek to match! Plan where you're going in America before you've even stepped on the plane. We've covered everything from Las Vegas to Washington DC. Check out the most reccommended hotspots, restaurants and things to do. Working as an international staff at summer camp means you may get taxed for the summer. Here's how you can claim tax back from your summer in America.